Well, I am skipping ahead by one post as the next one is going to be fairly long..most likely a two parter! This morning I went on the first fall Bird Hike at Tommy Thompson Park here in Toronto. 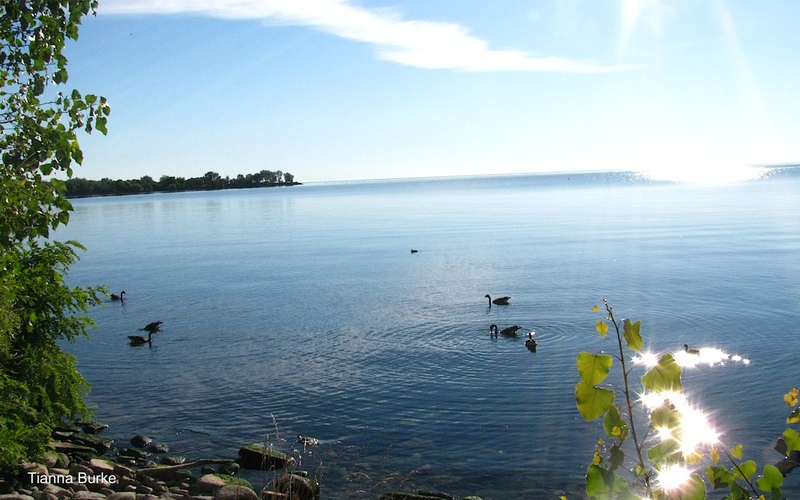 The hike is put on by volunteers for the Conservation Authority and runs every Sunday at 8am. It was my first time today assisting with leading the hike, and hopefully next week I may be able to help out again! We had two people attend the hike, one was even from Seattle. Both wonderful ladies! 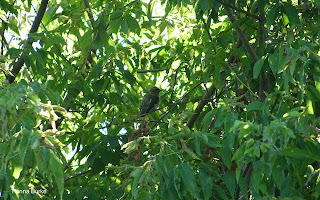 We were able to see a few great birds along the trails we went around on. 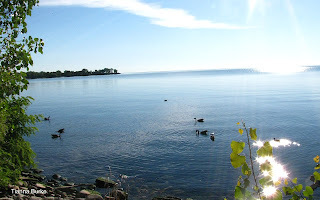 First we hiked the trail that is directly off the main entrance and runs along the water's edge of Lake Ontario. 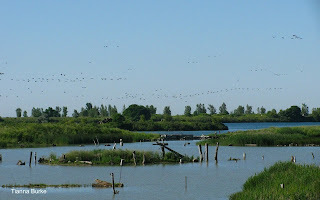 Here we saw Warbling Vireo, Song Sparrows, Cardinals, Mallards, Canadian Geese, Goldfinch, Chimney Swifts, Downey Woodpecker, Barn and Bank Swallows, and Caspian Terns. 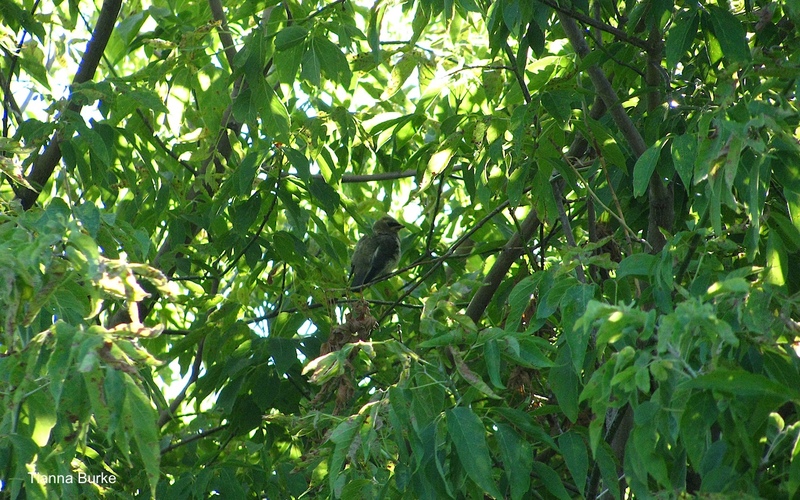 We were even able to spot a few Cedar Waxwings and their young! They were not what I expected them to look like and had they not had a little mask, I wouldn't have been able to know they were Waxwings! Way up in the sky we were also able to see a Osprey fly overhead. We then continued out onto the road and towards the wetland cells. Barn, tree, and a few bank swallows were flying overhead making their usual friendly chatter. We got to hear and see some Caspian Terns. One of the ladies joked about how she made the sound all the time to the young ones in her family and now she can actually say she's mimicking a tern! Jumping around in some bushes we got great sights of Baltimore Orioles. I really never get tired of their melodies and whistles, or their brightness! Kingbirds were also flying around, but I've learnt that there is NEVER a lack of them at this location! It was really interesting talking to the lady from Seattle. She was so excited to see the cardinal as they don't have any there. I often find myself taking 'common' birds for granted so I always love having people like this around as it reminds me of the beauty that they really do hold. 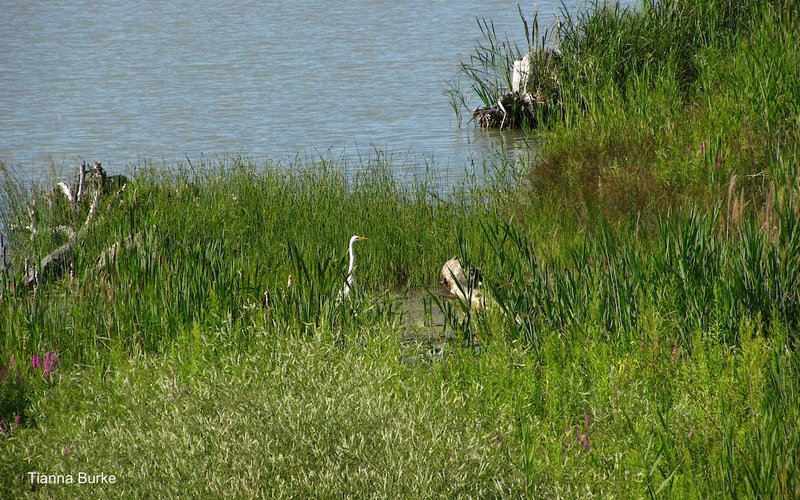 Looking over the wetland cells we spotted a beautiful Great Egret walking around amongst the cattails. We even got a surprise sighting of one of my favourite herons...the Black-crowned Night Heron. Unfortunately I wasn't able to get a great shot of it! The only other birds we saw where a whole bundle of Double-creasted Cormorants. Every time I visit I am surprised at the vast amount of Cormorants that can be seen flying over. Can't wait for next Sunday. Hope everyone is having great times in the sun! Second Half of a Long Weekend...to Algonquin!